One out of every three websites is powered by WordPress, the free and open source software built and maintained by thousands of volunteers all over the world. The WordPress contributor community is made up of developers, designers, writers, photographers, freelancers, agency professionals, and hobbyists, many of whom gather regularly around the world at locally-organized monthly and annual events. Official WordPress community events are exclusively volunteer-organized, and each reflects the interests and expertise of the local community. In 2018, groups in the WordPress chapter program met over 4,700 times, and local communities organized 143 annual conferences, which we call WordCamps. WordCamp is the annual conference for local WordPress communities; it’s a casual, non-commercial, educational event about WordPress. Events range from intimate 50-person unconferences to multi-track conferences attended by over 2,000. Conference session topics include WordPress development, design, business, social media integration, blogging, and marketing. WordCamp tickets are sold at an extremely low price ($20 USD per person, per day) so that events are accessible to people of any financial background. We anticipate a 10% increase in events in 2019, which should result in approximately 155 WordCamps worldwide next year. WordCamps confirmed for 2019 can be found on the official schedule. Please note that the Global Community Sponsorship program does not include flagship events such as WordCamp Europe or WordCamp US, even though they’re listed on the official schedule. WordPress meetups are locally-organized user groups that get together for face-to-face events on a regular basis to discuss WordPress (commonly once a month). These events take many formats: presentations/lecture series, hackathons, social gatherings, workshops, coworking, running a WordPress help desk, contributor sprints/drives, and others. Groups hosted on meetup.com can become an official WordPress chapter group and receive financial and organizational support from the WordPress Community team. How does event sponsorship help WordPress? Companies that sponsor WordPress community events support the WordPress open source project by helping our volunteer-organized, local events provide free or low-cost access for attendees. 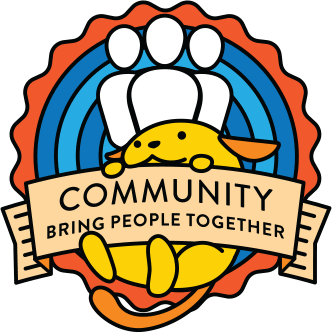 WordPress community events strengthen, inspire, and connect the community that builds and maintains WordPress. Why sponsor via this program rather than sponsoring individual events? As the WordPress community continues to grow, many companies find they don’t have time to coordinate with multiple teams of volunteer event organizers. The WordPress Global Community Sponsorship Program ensures that your support reaches WordCamps and meetups quickly and provides stability to locally-organized events. WordPress global community sponsors have a single, centralized point of contact and are billed quarterly, saving companies time and trouble. Global community sponsors are emailed as soon as each WordCamp is added to the official schedule, with all the vital details for the event, including contact info for the organizing team, anticipated number of attendees, mailing address for swag, and more. Global sponsors’ contact information is sent to local organizing teams to facilitate communication. Global sponsor company information is pre-loaded on every WordCamp website by WordCamp Central, so the local organizing team can publish the sponsor’s logo and company description with one simple click. Global community sponsors also receive any benefits that WordCamp organizing teams include in their local sponsorship packages, and for this reason, frequently receive more benefits than those described in these packages. Please note that the Global Community Sponsorship program does not include flagship events WordCamp Europe or WordCamp US, as the scale of those events are outside the scope of this program. What are the costs and benefits associated with global sponsorship? *Not all WordCamp venues will have space to provide tables to sponsors, but if the venue has enough space to accommodate sponsor tables, then community sponsors will be offered exhibition space. In your notification email, you’ll be informed whether or not the venue has exhibition space so you can request a table right away. **Free, reserved tickets will return to the general ticket pool if they are not claimed one month before WordCamp. Tickets reserved for sponsors should not be used for ticket giveaways; these are only for your company representatives who wish to attend the event. ***Silver and Bronze global sponsors can “upgrade” to a higher local sponsorship level on individual WordCamps by requesting an invoice for the difference between the desired local level and their global sponsorship level, subject to availability, up to 6 weeks before the date of the WordCamp. Please see Rules for Sponsor Materials for more details about terms of sponsorship. Please also see our sample sponsorship agreement.